The Treasurer is responsible for the collection of taxes. Property owners receive tax bills twice a year around the first week of July and the first week of December. Tax bills are always due on September 14 and February 14 unless the 14th falls on a Saturday, Sunday or holiday then they are due the next business day. Mail must be postmarked by due date. Interest fees begin September 15 and February 15. Taxes become delinquent on March 1st of each year and tax bills are passed on to the County Treasurer, who will levy additional late fees. Make checks payable to: Excelsior Township. Property owners are responsible for notifying the Treasurer if their mailing address changes. Taxes are due whether or not the bill is received. There is a locked drop box available at the Township hall next to the main entrance. Requests for Summer/Winter tax bill payment information can be made during office hours or by Fax (231) 258-6654. We have special assessments only around Manistee Lake and all parcels are well & septic. A PDF file containing the current Paid/Unpaid report is availabe at the bottom of the page. Assessed and Taxable Values are also available on the bottom of the page in the tax bills section. 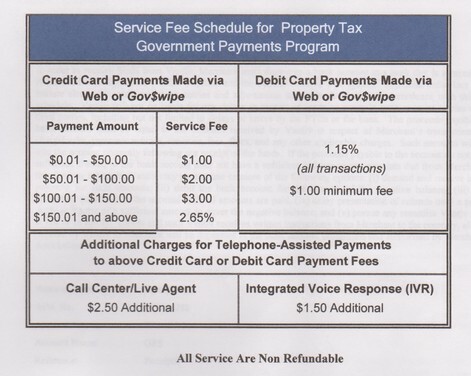 Prior year tax payment information is available at www.kalkaskacounty.net. Scroll down to locate Property Search in the left hand column under Useful Links. You can search by Parcel Number, Owner Name, or Address Number. Or call the Kalkaska County Treasurer’s Office at (231) 258-3310. An owner of eligible property may file a completed summer property tax deferment with our office before September 14. A valid deferment permits summer property taxes to be paid on or before February 14 without any additional penalty and interest. CREDIT CARD PAYMENTS ARE NOW ACCEPTED WITH A FEE! 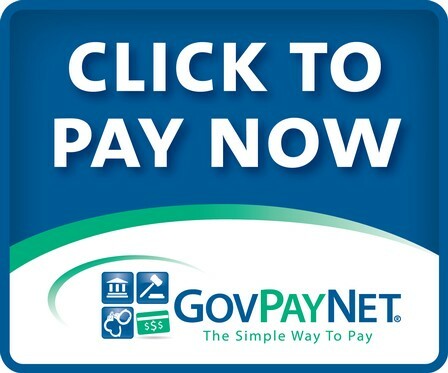 Credit card payments may now be made at the township hall, online using the above button or over the phone at 1-888-604-7888 (additional fees apply). Please call (231) 258-6108 to find out what your total amount due is if you are paying late.